Shannon Hoon (born as Richard Shannon Hoon in Lafayette, Indiana, died in New Orleans, Louisiana) was a famous Musician from USA, who lived between September 26, 1967 and October 21, 1995. He became only 28 years old. 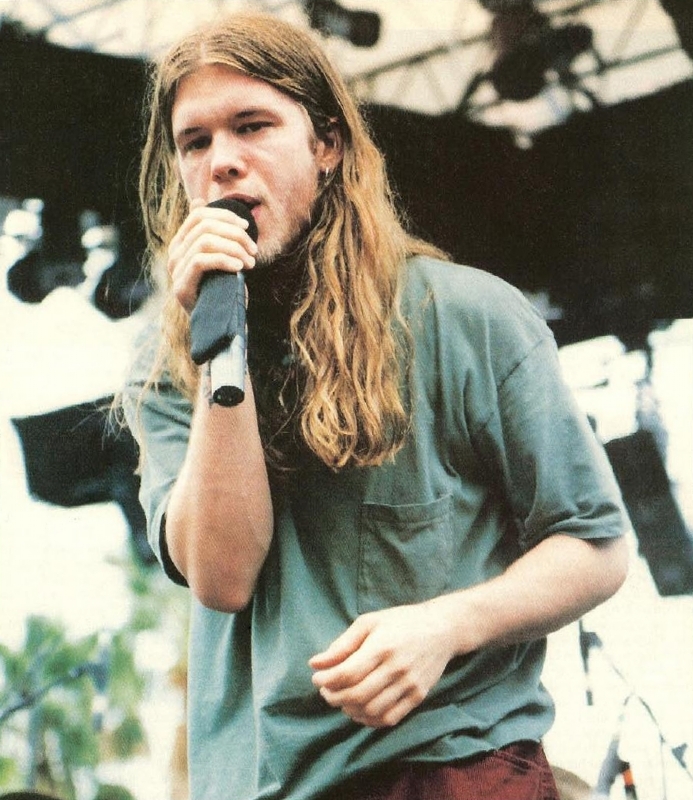 Shannon Hoon is a singer of Blind Melon, native of Lafayette, Indiana. In 1989 he moved to Los Angeles to form Blind Melon, inspired by Led Zeppelin and the Grateful Dead. In 1991, after a disappointing first mini-album, he was invited by Axl Rose of Guns N 'Roses, native, too, of Lafayette, to come and ask her voice on some songs of Use Your Illusion II. The following year, it is the dedication to Blind Melon and in parallel, Shannon Hoon gradually sinks into drugs. His career ended abruptly by an overdose in the tour bus in 1995 in New Orleans. He is born under the zodiac libra, who is known for Balance, Justice, Truth, Beauty, Perfection. Our collection contains 12 quotes who is written / told by Shannon. "Life isn't a tiptoe through the tulips"
"You use everything. You use tragedy you use everything"
"I want to do more. I'm never satisfied with what I've done"
"There's no leader of this band, and there never will be. That's the key. You can't control how the public perceives you-people see rock'n'roll bands as the guitar player and the singer"
"I made a living out of being a class clown"
"We all enjoy the band and what we're doing, but we know this isn't gonna last forever"
"I think we really almost burnt ourselves out on one record"
"I feel more confident about what we're doing as a band and what we're trying to do as a band and the way we're looking at it as a band"
"Keep on dreaming boy, cause when you stop dreamin' it's time to die"
"I really enjoy the therapeutic value of writing songs"